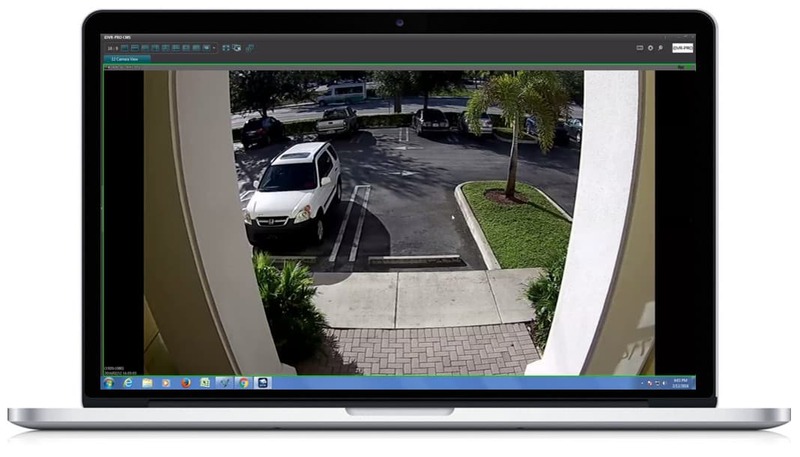 The Windows Central Management Software (CMS software) for Viewtron surveillance DVRs allows users to connect to and view security cameras from multiple DVR locations using a central client application. The software lets the user configure groups of connections, then pick and choose which cameras should be grouped into names display screens. The Viewtron CMS software is ideal for enterprises with multiple locations and DVRs. This DVR software only works on Windows PCs. Please note that Viewtron DVRs are no longer manufactured and have been replaced by iDVR-PRO surveillance DVRs. iDVR-PRO includes CMS software for Windows that lets users monitor multiple DVR locations. You can learn more about how to view security cameras with the iDVR-PRO CMS software here. This is image shows a screenshot of the iDVR-PRO CMS. If you are an existing Viewtron user, please access the CMS setup instructions here. 1. First, download the VMCMS software here - VMCMS Software Download. Device name: This can be whatever you like. The device name is used for your reference only. Address (IP/URL): This is where your Remote IP address / DDNS Hostname will be entered. Dual Stream: If you select Network, the video will stream at a more efficient rate (Video will not be sent in HD resolutions to help lower bandwidth usage). If you select Record, the video will stream at the same Resolution and Framerate that the DVR is recording at. 5. Press OK to save the settings / device. 6. Click the Default folder to expand. 8. Once connected the DVR icon will display in green. 10. You should now see the video.